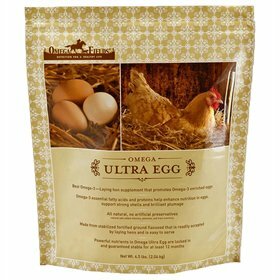 Rooster Booster Poultry Feather Whitener, 16 oz. 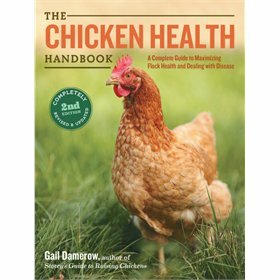 Whiten and brighten your flock's feathers! 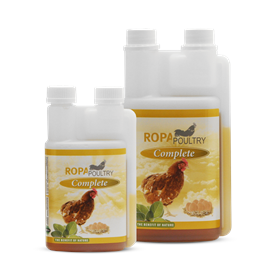 This is a sustained-action whitener, natural color restorer, and green spot remover. 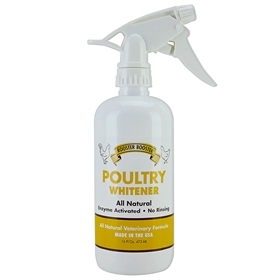 Poultry Whitener's unique, biodegradable, natural formula breaks the bond between dirt, grime, feces, urine, dust and stains attached to the feathers and skin of poultry. It's enzyme activated and works best "over time". Unlike other feather whiteners on the market, there's no purple mess with this formula! It's free from bleach, dye and stripping agents, and is specifically formulated to remove protein-based stains. Works best when stain area is kept moist. Apply liberally. Rub in with a towel and leave in for sustained action. No need to rinse. Keep away from eyes. 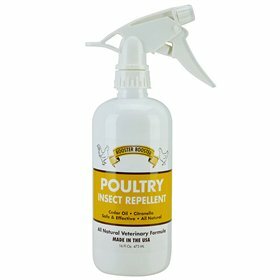 Rooster Booster Poultry Insect Repellent, 16 oz.